The huge deficiency in the AWACS fleet of the IAF is worrisome as both Pakistan and China are in the process of expanding their fleets of these aerial platforms. The issue of the rapidly dwindling strength of the fleet of combat aircraft in the Indian Air Force (IAF) and the impediments that the service has been confronted with since the beginning of the last decade in its effort to induct modern fourth-generation platforms to restore its operational edge over its adversaries, has been a subject often debated in public domain. But what is not so well known is the deficiency in the IAF in the domain of Force Multipliers that can have an equally debilitating effect on the operational capability of the IAF. Of particular concern is the shortage of Airborne Warning and Control System (AWACS) aircraft that can enhance both offensive and defensive capabilities of combat aircraft on operational missions through early warning followed by extremely accurate guidance and control. 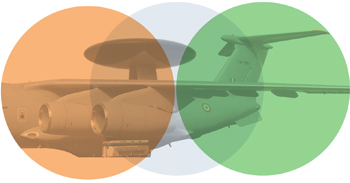 The AWACS aircraft is a vital component of the Integrated Air Command and Control System which is a fully-automated air defence network with data links to integrate the wide array of military radars into the system as well as with civilian radars to plug surveillance gaps in Indian airspace. As against an estimated requirement of a minimum of 18 AWACS platforms to cater for operations on both Western and Northern fronts simultaneously, the IAF currently has only three on its inventory. These are basically IL-76 aircraft from Russia fitted with Israel-built Phalcon radar system. Three of these platforms were acquired in the period 2009 to 2011 through a $1.1 billion deal. 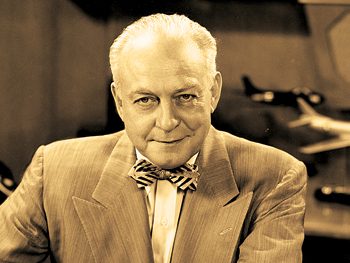 Efforts to augment this fleet with two additional platforms of the same make, did not fructify as there was a steep escalation in cost to nearly double that was paid for the first lot of three aircraft. In search of an alternative, an AWACS version based on the Airbus A330 Multi-Role Tanker Transport (MRTT) aircraft that was identified by the IAF as the appropriate platform through a global tender, was not approved by the Ministry of Defence in two consecutive tenders, both for reasons of exorbitant cost. The IAF is now looking at the KC-46, an aerial tanker from Boeing. Based on the Boeing 767 airliner platform, the KC-46 aerial tanker is currently under development. Smaller in size compared with the Airbus A330 MRTT and with lower payload capacity, this platform is expected to be available at considerably lower cost. In the meantime the Indian aerospace industry has delivered two Embraer ERJ 145-based Airborne Early Warning and Control (AEW&C) aircraft called Netra. These platforms have much lower level of capability when compared to the AWACS aircraft and can only augment and not serve as their replacement. 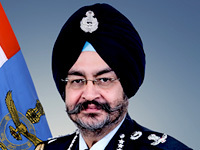 In a media interview on November 11 this year, Air Chief Marshal B.S. Dhanoa, Chief of the Air Staff clearly admitted that “There is cause for concern over the rate of modernisation and induction of new equipment in India’s neighbourhood”. Implicit in his statement is the need for the IAF close the existing gaps including in the domain of Force Multipliers through the enhancement of its AWACS fleet. 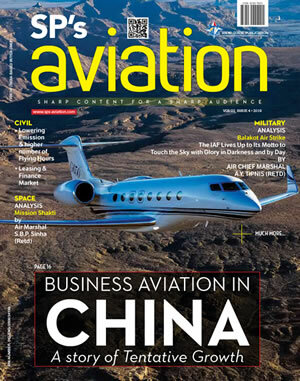 The huge deficiency in the AWACS fleet is particularly worrisome as both Pakistan and China are in the process of expanding their fleets of these aerial platforms. 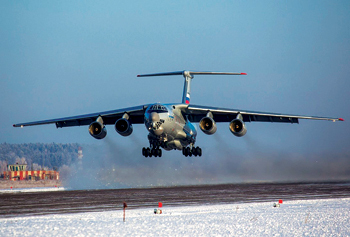 China already has four of the indigenously developed KJ-2000 AWACS based on the Russian IL-76 aircraft. China has 26 indigenously developed platforms such as the KJ-200 and KJ-500 Airborne Early Warning systems based on Y-8 and Y-9 transport aircraft airframes respectively. It is reported that 11 of the former and 15 of the latter are already in service. The Pakistan Air Force (PAF) on the other hand has eight Chinese Karakoram Eagle ZDK-03 AWACS and Swedish Saab 2000 AEW&C aircraft. It is also on course to get additional aircraft from China. Effort by the Indian aerospace industry at indigenous development of a AWACS platform began in the 1980s with an Avro HS-748 twin-turboprop aircraft. Initially meant to be only a technology demonstrator, while on a test flight, the Avro aircraft crashed on January 11, 1999 killing all eight on board. This disaster took place nearly a decade after the project was launched. Consequent to the accident, the programme came to a grinding halt and was later abandoned. However, subsequently, a new project to develop the Netra AEW&C on Embraer ERJ 145 platform was launched in the beginning of the last decade. Thereafter, in 2015, the indigenous AWACS project was also revived with the Defence Research and Development Organisation (DRDO) taking up an exercise to mount indigenously developed Active Electronically Scanned Array (AESA) radar Airbus A330 wide-body jets. Two of these platforms are under development and are expected to be ready by 2025 hopefully. The IAF plans to order six more if the project is successful. Unless the IAF has the right number of AWACS aircraft on its strength that can serve as the proverbial “Eye in the Sky”, the air defence segment of the force will remain afflicted with deficiency in the level of capability required.